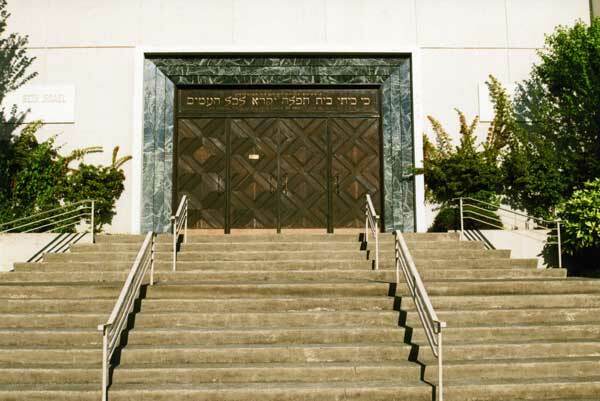 The history of Beth Israel Congregation begins in the 1920s, a time when young Jewish families were moving into the area around Fairview slopes, in the Oak Street area. 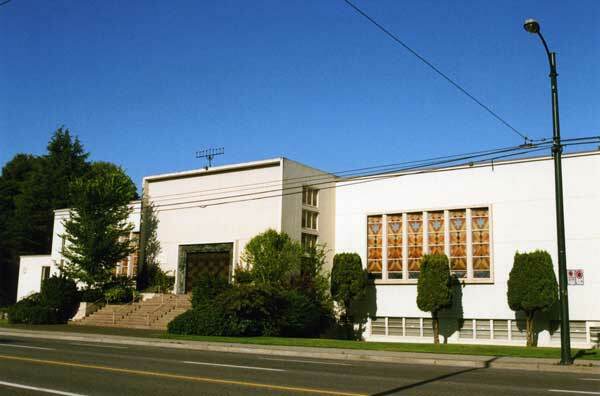 The Orthodox synagogue, on Heatley Street in the downtown east side core, was the only option for the Jewish community. According to early memories of some of those families, what they were seeking was a synagogue nearer their homes, one where men and women could sit together, and where some English could be used in the services. They also wanted a school for their children. 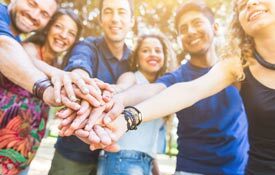 To achieve these goals for their shul, the new congregation joined the Conservative movement. 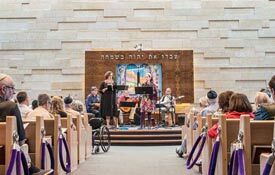 It was one thing to form a congregation – which met for years in the Jewish Community Centre at Oak Street and 11th Avenue. It was another to raise the money for the building. 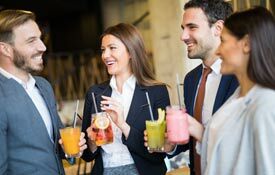 During the Second World War, all energies were turned to the war effort and after the war, when the scope of the Holocaust was known, energy went into settling survivors. 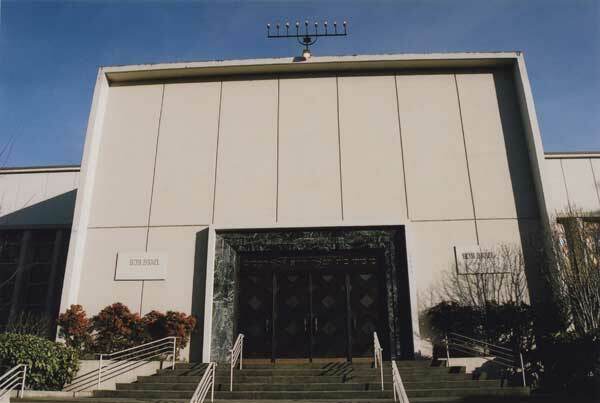 However, by the late 1940s, both a Rabbi (David Kogan) and a building site – at 27th and Oak – became available and in 1949 Beth Israel’s synagogue was dedicated. 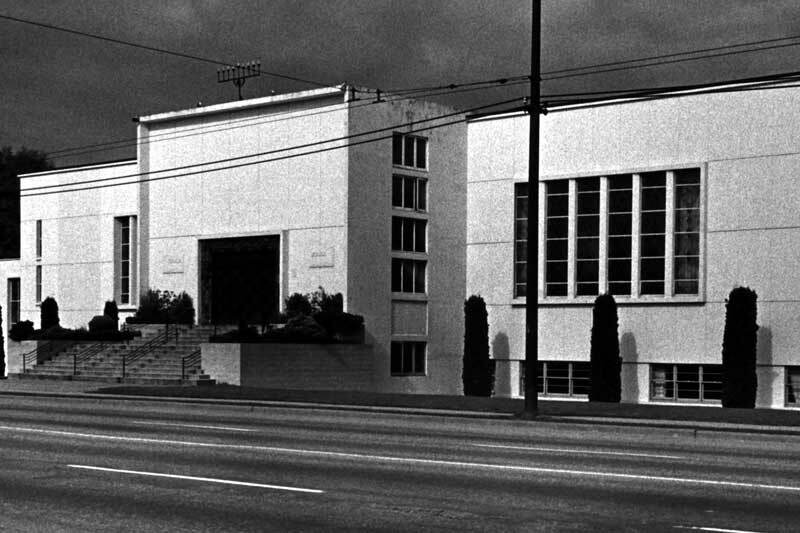 The 1940s were a time of great expansion of the Jewish community institutions: a new Schara Tzedeck (Orthodox), the Vancouver Talmud Torah Day School, a seniors’ home, Hillel at UBC, and much more. The synagogue became a true spiritual centre and a focus of activities: Purim balls, supper dances, Men’s and Women’s Clubs, a supplementary afternoon school, bar mitzvah celebrations, and adult education. Its growing congregation was part of a booming post-war population increase in Vancouver in general. 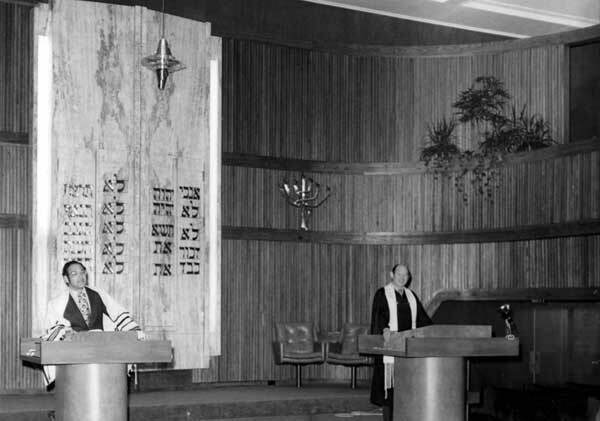 In 1964 at Beth Israel began the 30-year tenure of the partnership of Rabbi and Phyllis Solomon, Cantor Murray Nixon (1967), and Ba’al Tefillah, Torah Reader, and teacher David Rubin (since 1959). They made Beth Israel a force not just within the congregation, but also in the Jewish community at large. The congregation fondly remembers both Cantor Nixon z’l and David Rubin z’l. 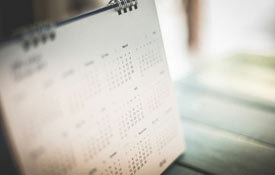 Programs included weekly Talmud classes, lively adult education series that included a book club and Institute Aleph, music and concerts, and strong bar mitzvah education in Haftarah and Torah reading for the youth. While at first only boys had a complete Shabbat bar mitzvah, the girls were not far behind in insisting on their own. The United Synagogue youth club (USY) was and is a popular place for BI teens, and Camp Solomon Schechter in Olympia Washington (1968) became and remains a strong force for summer Jewish camp experiences. In the late 1980s it became clear that women, now well educated in Jewish ritual and study, were ready to move up to the bimah and take their place as full participants in synagogue ritual. By 1989 women were called to the Torah for their own aliyot, were counted in the minyan, and acted as sh’lichat tzibbur (prayer leader). Beth Israel was the first major Canadian Conservative congregation to become fully egalitarian. Rabbi and Phyllis Solomon, now retired in Israel, have left Beth Israel a lasting institution, a Museum of Judaica. The collection will find its new home in the foyer of the new synagogue. 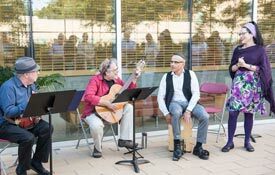 Following the Solomons’ retirement, Beth Israel was led by Rabbi Ulmer and Rabbi Feinberg before the arrival of our present Senior Rabbi, Rabbi Jonathan Infeld, and his wife Lissa Weinberger. They were here for the Beth Israel’s 75th anniversary year in 2007-8. In 2012 construction began for the new Beth Israel building. In 2014 it was dedicated, on the same site that had been purchased boldly in 1944 for — $3,500.00! Along with Rabbi Infeld, Beth Israel is now led by Assistant Rabbi Adam Stein. Rabbi Stein leads the conversion classes and many other synagogue functions. Our Ba’alat Tefillah Debby Fenson is our regular Torah reader, as well as the teacher of bar and bat mitzvah students. Our Youth Director, Rabbi David Bluman, joined us 2013 and leads our education programs and youth groups from the ages of 8 through high school, as well as our successful young adults program. 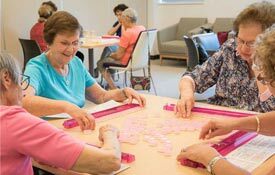 A centre of prayer as well as of Jewish study, Beth Israel boasts a strong twice daily and Shabbat minyan, the celebration of Jewish holidays, and activities for all ages from children to seniors. 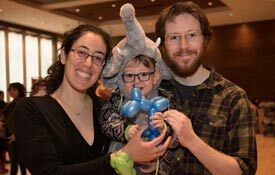 Today Beth Israel is western Canada’s largest Conservative congregation and boasts over 640 member families. We are proud of our welcoming congregation. Our members truly care about the synagogue and its commitment to Jewish values and practices.